Accessories - G.A. 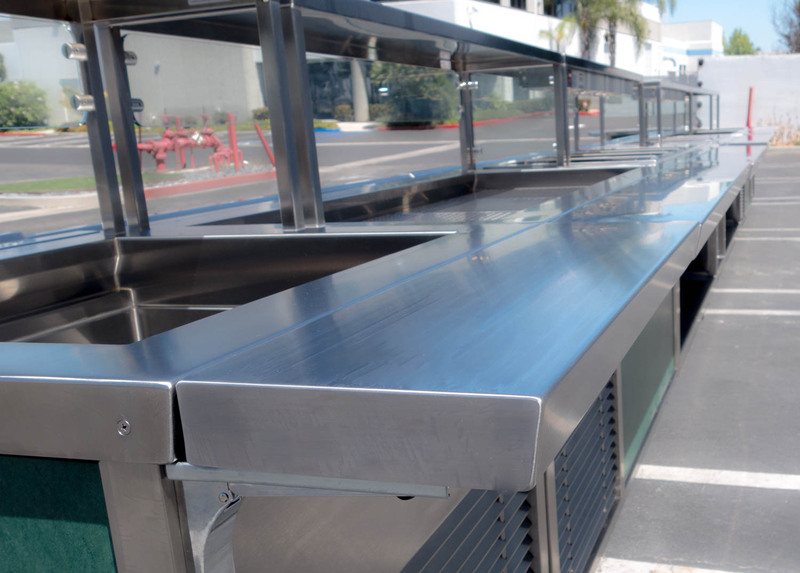 Systems, Inc.
Increase the convenience of your serving line for both your staff and customers with our comprehensive line of serving line accessories! Browse below for more information. 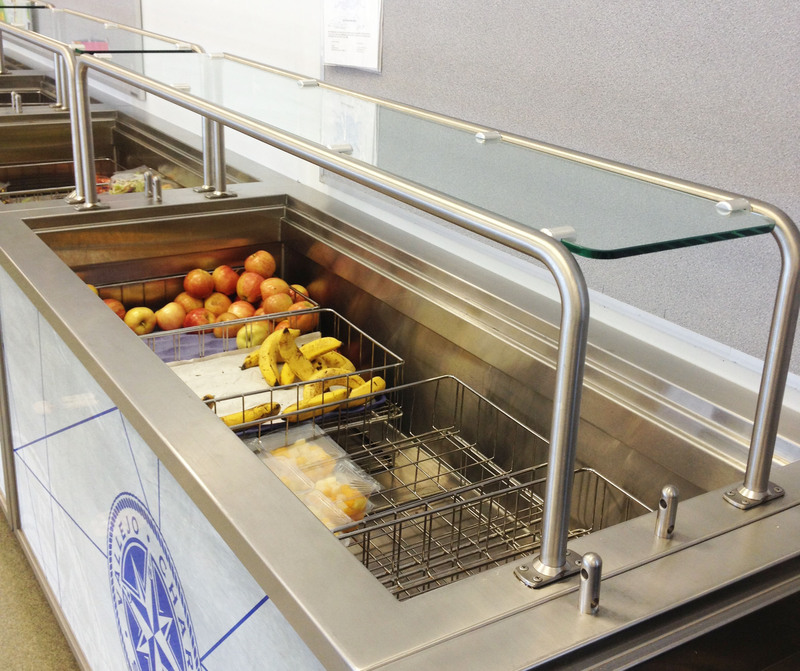 Our tray slides can be added to any G.A. 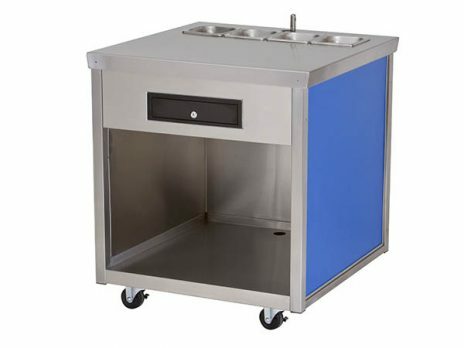 Systems cabinet or existing counter top. 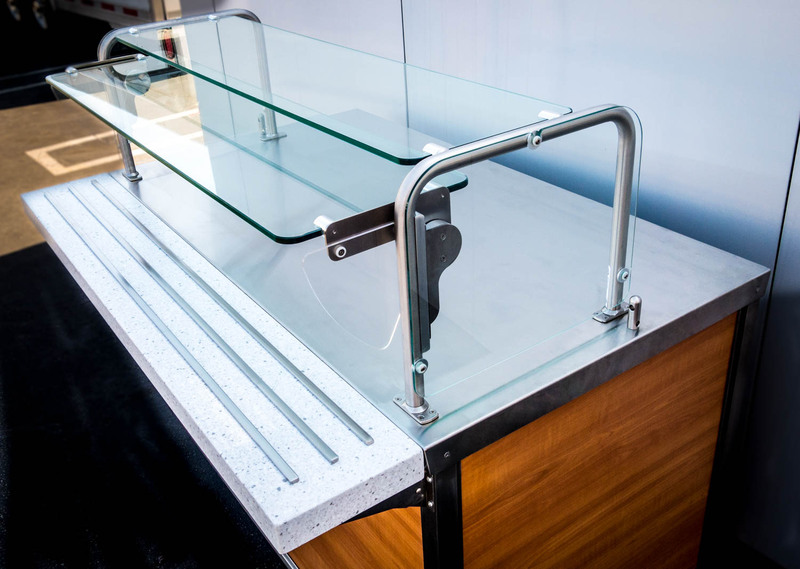 Available in stainless steel or solid surface material, our tray slides are engineered to fold down and lift off for easy cleaning and flexibility of your serving line. 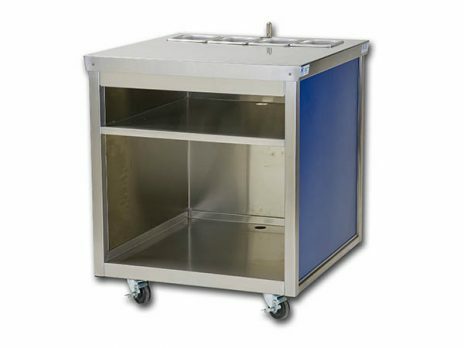 18 gauge stainless steel fold down and lift off accessory shelves designed to accent convenience on a single food service cabinet or a full serving line. 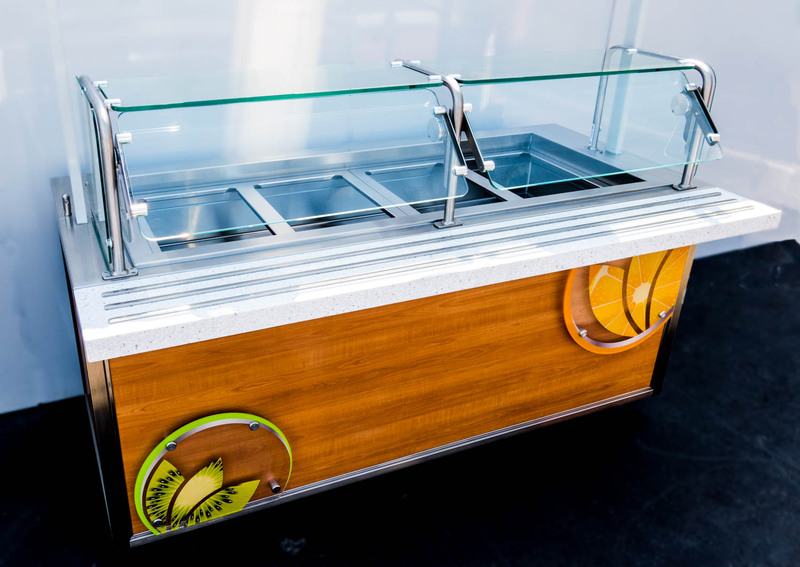 Display and sell shelf stable items and fresh fruits with our Merchandising Racks. 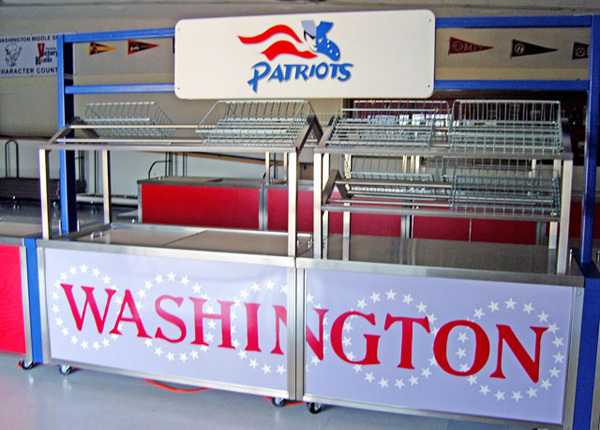 Merchandising Racks are designed to sit above a serving cabinet or counter to maximize space and provide POP visuals that are sure to increase participation. 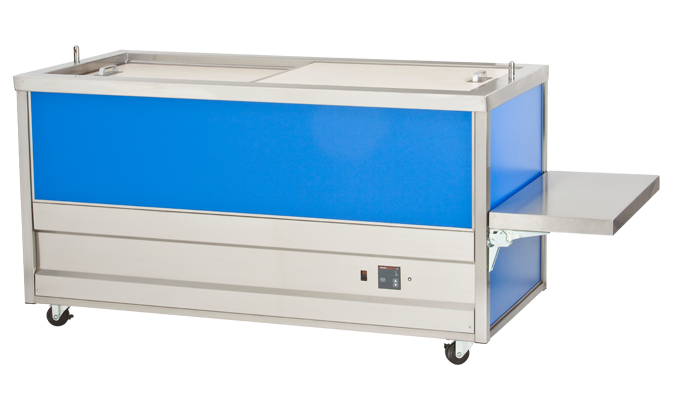 Designed to optimize space while enhancing serving line offerings, our Over Shelves are designed to fit your cabinet or counter to display and sell dry goods. Add a heating option to help keep things warm as well! 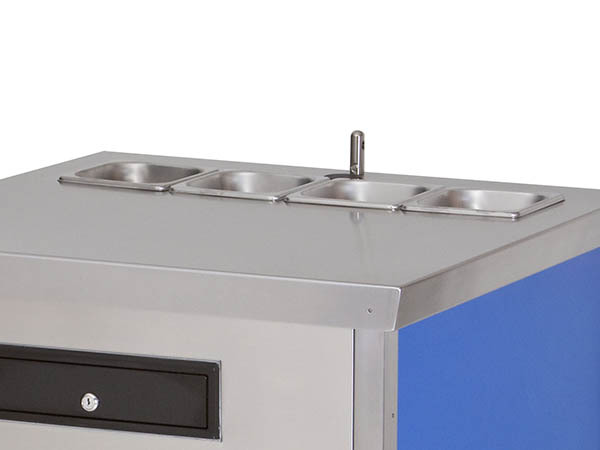 Pan Adapters are designed to allow large, continuous wells to be divided in order to hold serving pans. Made of 18 gauge stainless steel. 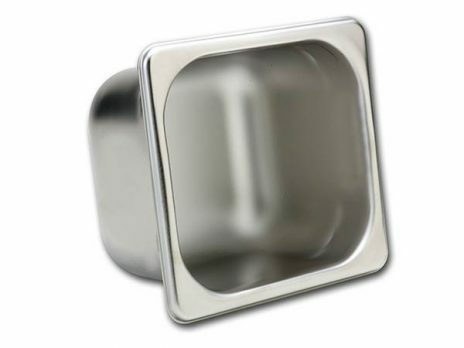 A Condiment insert is a great way to have those last minute items right there for the customer to grab.